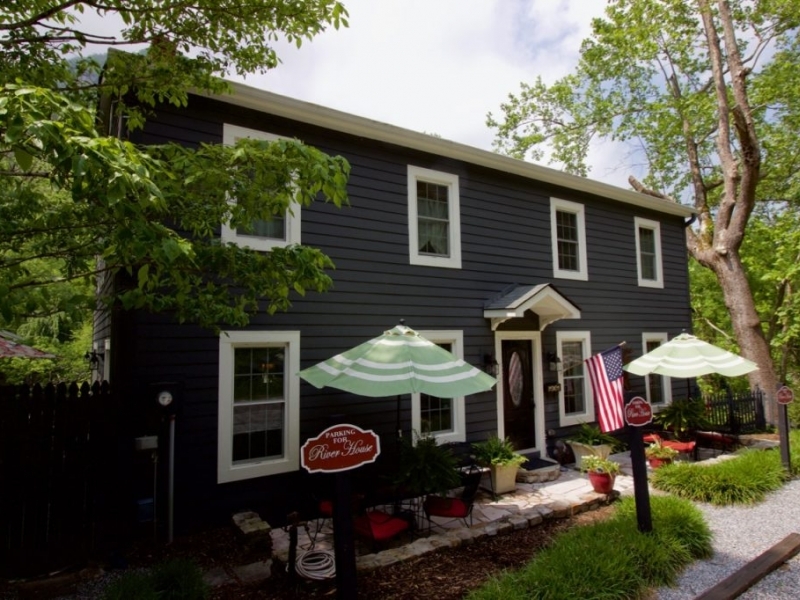 The River House has nine guest rooms and a separate cottage across the Rocky Broad River. Both may be rented together on for family reunions and other gatherings. Four decks overlook the river with spectacular views of Chimney Rock. All rooms have flat screen TVs with DirectTV.